The child’s progress in mastering skills in these ECC-based games will be maintained in a private secure cloud, visible to the teachers in a web-based dashboard . While it wasn’t essential that the students understand everything going on in the background to design the app, it was important that they at least realize there’s stuff behind the scenes that make all this magic work. The students came up with several ways to contact their friends online: email, texting, Skype, TextFree, WhatsApp, Instagram, Kik, and several ways offline: phone call and speaking with the friend face-to-face. I will implement that feature over the next few days. 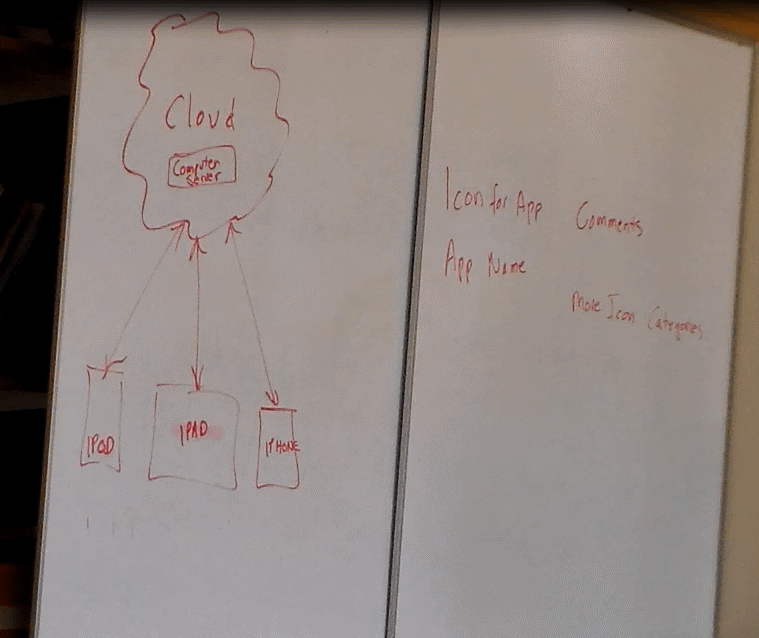 I asked the students to come up with more app names, since the last set of names were mostly taken, and asked them to start designing an icon for the app. Some of the students are very artistic and the result would be very cute if we could use the icon they create.